"The First Christmas Night" is a beautiful retelling of the birth of Jesus on that joyous night in Bethlehem so long ago. The poem begins with the arrival of Mary and Joseph in Bethlehem and winds though Christ’s birth, the angels’ appearance to the shepherds, and the visit by the wise men. Did you recognize the rhyme? Different words, but, yes, it sounds like "The Night Before Christmas." I love this version of the Christmas story because it's the one that really matters. It's like tradition meets truth. The simple, yet elegant, verses will appeal to little ones and are accompanied by the rich illustrations. He had not a crib, but in a manger instead, the tiny new baby lay down his sweet head. About the illustrator :: At a very early age, Christine Kornacki developed a love for painting and bringing stories to life. After receiving a BFA in illustration from the University of Hartford, her dreams of illustrating children's books began to take shape, including illustrating best-selling "The Sparkle Box" for Ideal's Children's Books. Christine's recent work also includes illustrating the six-book series for the American Girl historical doll characters Marie-Grace and Cecile. She spends her days painting in her studio, which adjoins a charming cafe in New Haven, Connecticut. 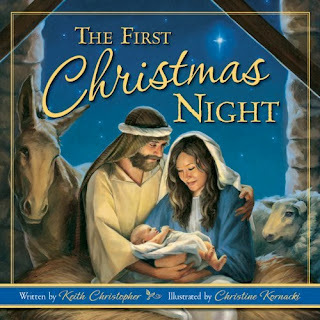 About the book :: Publisher by Ideals Books, "The First Christmas Night" is a 32-page, hardcover book. Aimed at kids ages 4-8, the rhyming language can help them develop verbal language skills and learn to read. This book is ideal for family story time during the holidays, children's ministers and Sunday school teachers, and even Christmas carolers who want to set it to a tune! You can learn more about it at the book's website and Ideal Books' Facebook page. 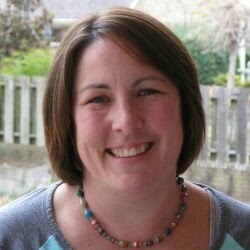 EDITED: Congratulations, Carrie Coombs! You win a copy of "The First Christmas Night." I hope Elijah likes it and you all enjoy your Christmas as a family. 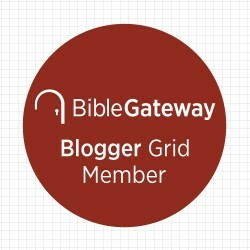 I received our copy of "The First Christmas Night" free from FlyBy Promotions in exchange for this mention on my blog. 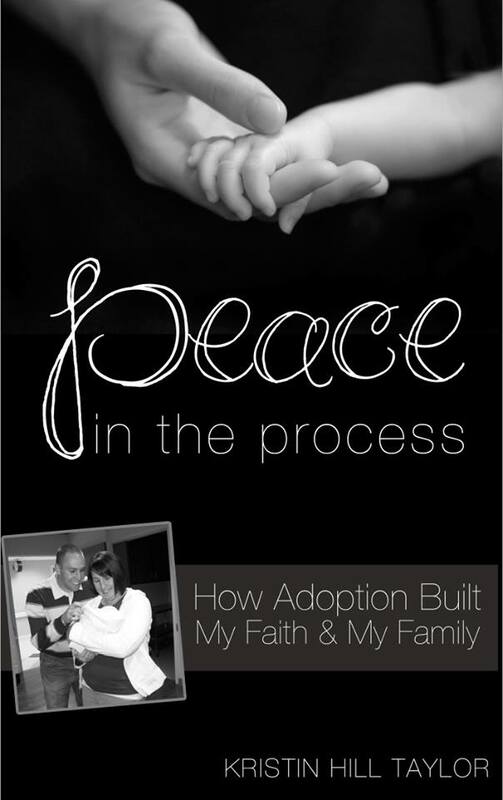 This review is composed from my own thoughts and those my kids shared with me. I have no doubt we'll actually use this book for years to come. I included Amazon affiliate links because I do think the book is worth buying. I love setting up our nativity scenes. My parents gave me Jesus, Mary, and Joseph figures many years ago and then gave me a new piece (person or animal) each year for several years after that. Now that we have children, that one gets displayed out of reach. :) My boys have a nativity scene that is safer for them to touch, and I'm looking forward to looking at it and interacting with it with my 4-year-old this year.